Christians who wish to respect the integrity of Scripture and seek to handle the Word of Truth rightly recognize the fundamental importance of understanding a Biblical text in its context (2 Timothy 2:15). It is said, for good reason, that “a text without a context is a pretext”; for millennia many of the most blatant and gross distortions and misinterpretations of Scripture have taken place because verses, passages, or whole books of the Bible were ripped from their contexts and used to serve the interpreter’s own ends. Context is an important anchor for our interpretive endeavors: if our understanding of a text leaves little room for how its original recipient would have understood it, and has little to no relevance for him, then our understanding of the text has gone far afield from what God has intended. 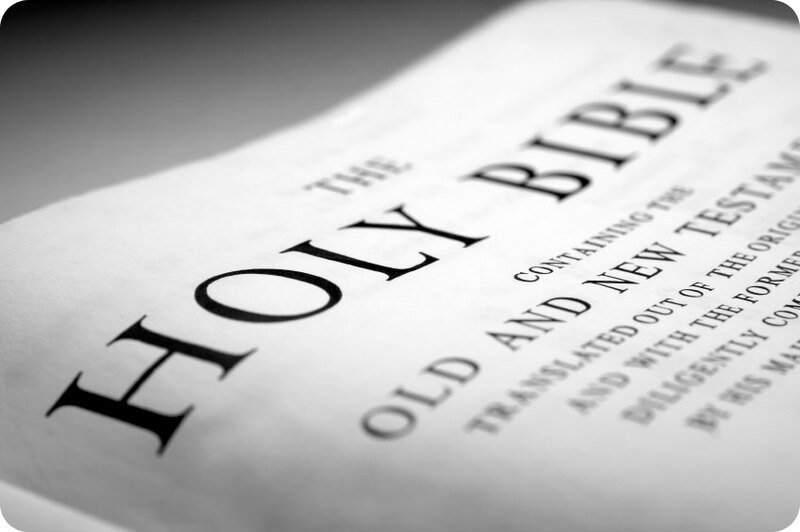 Recognizing that nothing in the Bible was directly written to us today in the twenty-first century is a crucial and humbling step toward more effective Biblical understanding; we must let the text speak to us in its context so as to inform our understanding in faith and practice, and not impose our own thoughts, purpose, or will upon the text. Context, therefore, is critical for a healthy understanding of what God has revealed in Scripture. Nevertheless, we do well to recognize that context is not everything; context has its limitations as well. We must resist the temptation to turn context into an interpretive straitjacket. After all, if the only way we can understand or apply a text is in its context, then Scripture is relegated to the role of a classical relic, having nothing to say to people in the twenty-first century! Such a view is not commended within Scripture: Peter insisted that promises made by the prophets were fulfilled hundreds of years later, providing a service less for their own generation and more for those afterward who lived during the time of fulfillment (Acts 3:18-26, 1 Peter 1:10-12). Paul affirmed the continuing relevance of all Scripture for the life of the Christian, equipping us for every good work (2 Timothy 3:16-17). Thus, while our original understanding of Scripture must be grounded in its original context, we must remember that many Scriptures are intended to have multiple applications and forms of understanding. The Psalms, for example, maintain their original purpose and understanding during the days of the kings but also had purpose, understanding, and meaning in terms of the Second Temple Period, the Christ, and continuing relevance for the people of God. Many prophecies, like Isaiah 7:10-17, have a near-term contextual meaning and fulfillment (e.g. a sign to show how long it will be before Aram and Israel are swept away by Assyria) and a longer-term ultimate meaning and fulfillment (e.g. the Christ as the Immanuel child, born of a virgin; Matthew 1:22-23). Many other elements of the covenant between God and Israel would represent the physical shadow of the ultimate spiritual reality to be made known through Jesus (Galatians 3:23-24, Colossians 2:16-17, Hebrews 9:1-28). These texts must be understood in context, but our full understanding of them must not be limited to their context. Context must not become a straitjacket for interpretation even in terms of basic textual comprehension. Biblical authors will frequently introduce a truth or example from outside a context in order to reinforce or illustrate the primary contextual matter at hand; in such circumstances the statement of truth or example is not bound by context. In Romans 7:1-4 Paul introduced the example of marriage law to illustrate the relationship between the Jewish Christian and the Law of Moses. Paul’s purpose, in context, is for the Jewish Christians to consider themselves as having died to the Law and live in the body of Christ in the Spirit (Romans 7:4-6). The example principle of a person being bound to their spouse only as long as the spouse remains alive, however, remains true, even though it is not the primary message of the text in context, because Paul intended for the reader to understand that the example must be legitimate in order to reinforce how the principle the example illustrates is legitimate. We can thus teach that married persons are bound to each other only as long as they live based on Romans 7:1-4 even though it is not Paul’s primary contextual message. The same interpretive principles apply in terms of general purpose and specific situations. In Romans 14:1-23, for example, Paul’s general purpose is to explain how Christians are to honor and respect one another’s conscience: they are not to pass judgment on one another and are not to destroy for the sake of their liberties those for whom Christ died (Romans 14:13-19). Paul’s general purpose is needed on account of the specific situation in Rome: some believed that meats were unclean and should not be eaten, while others had no qualms eating the meat (Romans 14:3). Paul speaks specifically to the issue in Romans 14:14: nothing is unclean of itself, but is unclean to the one who reckons it unclean. We can thus teach that nothing is unclean of itself based on Romans 14:14 even though it refers to the specific situation in Rome and not Paul’s general purpose; we can also teach that we should not cause stumbling blocks to our fellow Christians and respect their consciences in matters of liberty in other circumstances based on Romans 14:13-19 even though it refers to Paul’s general purpose and not the specific situation in Rome. Let none be deceived: context is crucial for a proper understanding of any Biblical text. Context is to help us define the meaning of the text but cannot become a straitjacket hindering us from understanding all God has intended from what He has revealed through His servants the prophets, the Christ, and His Apostles. May we seek to understand the Word of truth rightly as God intended!